From the moment you step on our lot until the time you drive away in your next car, your buying experience with Marengo Auto Group is our number one priority. We encourage you to use the expertise and resources of our sales staff; they are here to help you find the right car at the right price. Call us today at 815-568-1700 to schedule your test drive! Nick, along with Bryan Holst, started Marengo Auto Group in 1996. Aside from being an owner, Nick runs the sales department at Marengo Auto Group. 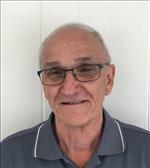 He brings over thirty five years of experience in the automotive industry with him and has been a resident of Marengo since 1986. In his spare time, Nick enjoys traveling, boating, and spending time with his wife, Jodie, and their two dogs, Cody and Maggie. 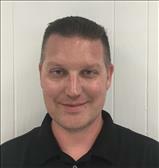 He has two children, Nicholas and Adrianna, and enjoys working with his son and the rest of the team here at Marengo Auto Group. Bryan, along with Nick Opie, started Marengo Auto Group in 1996. Aside from being an owner, Bryan runs the service department at Marengo Auto Group. 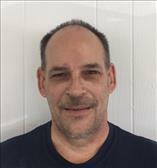 Bryan has over twenty five years of experience in the automotive industry and has been a local resident of Marengo since 2000. In his spare time, Bryan enjoys traveling, sports, and spending time with his wife, Meghan, and their three kids: Cameron, Josh, and Ben. Bryan also stays busy by coaching Marengo Junior Tackle Football in the fall. Brian is one of our salesmen here at Marengo Auto Group. He has been with us for over twenty years and brings an additional twenty five years of experience in the automotive industry with him. Brian currently resides in nearby Belvidere and his interests include classic cars and spending quality time with his family. Scott is a member of our sales team here at Marengo Auto Group. He recently joined the Marengo Auto Group staff, but he brings a wealth of knowledge and experience with him including over thirty years of experience in the automotive industry. Scott began his career in the industry after he graduated from Northwood University in 1987 with a dealer management degree. 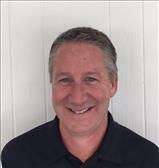 Scott is a lifelong resident of nearby Belvidere and enjoys boating, fishing, and golfing in his free time. 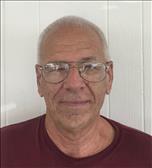 Glen is the head master technician at Marengo Auto Group. He has over forty years of experience in the automotive industry. Glen is a local resident of Marengo and started at Marengo Auto Group when we opened in 1996. In his free time, Glen enjoys coaching youth sports and spending quality time with his family. Randy is one of the service technicians here at Marengo Auto Group. 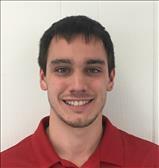 He recently joined the Marengo Auto Group team, but has been working on vehicles since he was a kid. Randy currently resides in Rockford and enjoys fishing, frisbee golf, and working on cars in his free time. Jim is not only a porter at Marengo Auto Group, but he is also the tow truck driver. Jim has spent all his time in the industry with Marengo Auto Group, and he has been with the company for nearly twenty years. Jim currently lives in Belvidere and when he is not busy towing vehicles, he enjoys cycling. Richard is the head driver at Marengo Auto Group. He transports vehicles for the dealership all over the Midwest. Richard, who is a local resident of Marengo, retired from his job at Warner Electric in 2008, picked up a second career with us shortly after, and has been driving for Marengo Auto Group ever since. When he is not driving around for Marengo Auto Group, Richard enjoys hunting, fishing, car shows, and watching all types of sporting events.